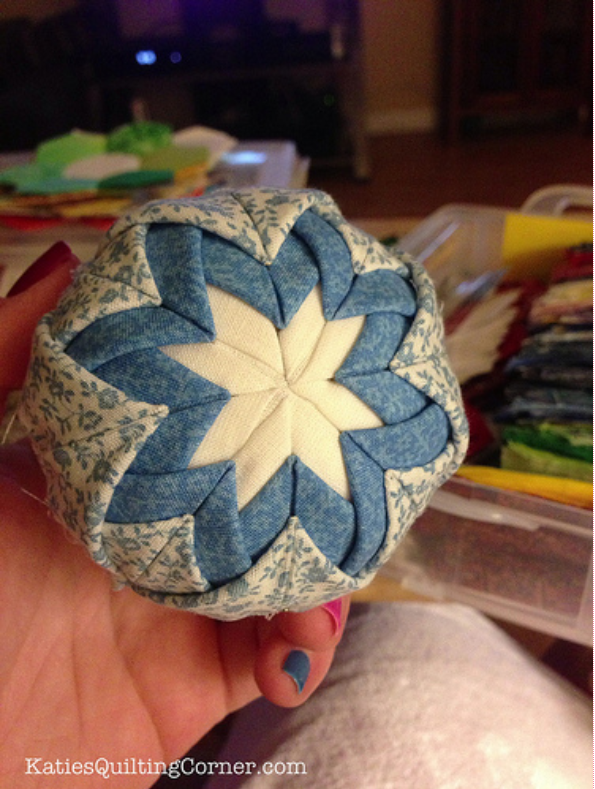 "I admired these ornaments whenever I saw someone else doing them and finally tried them myself! They aren’t very difficult to do just really time consuming. 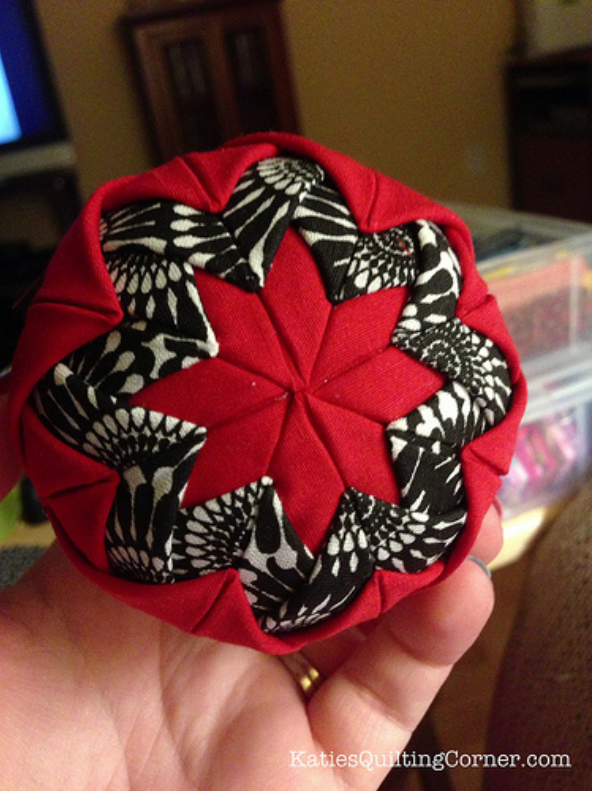 I think getting two sides “quilted” on one ball took me about an hour on my first try. The results were worth it though. I enjoyed making them and using up scraps of fabric!"